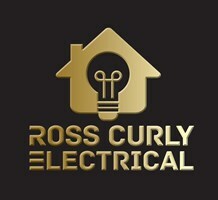 Ross Curly Electrical - Electrician based in Brighton, East Sussex. Brighton based electrician with 15 years experience in the industry. All aspects undertaken, from moving a socket to completely redesigning and rewiring your property. A lot of pride is taken in the work and ensuring that it is of the highest standard. Specialist lighting, dimming and scene-setting - PAT testing. Please don't hesitate to contact me for a free, no obligation quote. We cover Sussex and surrounding areas.